Forgot to mention that it looks slightly different on the IPhone, smartphone or IPad if those are your media devices. 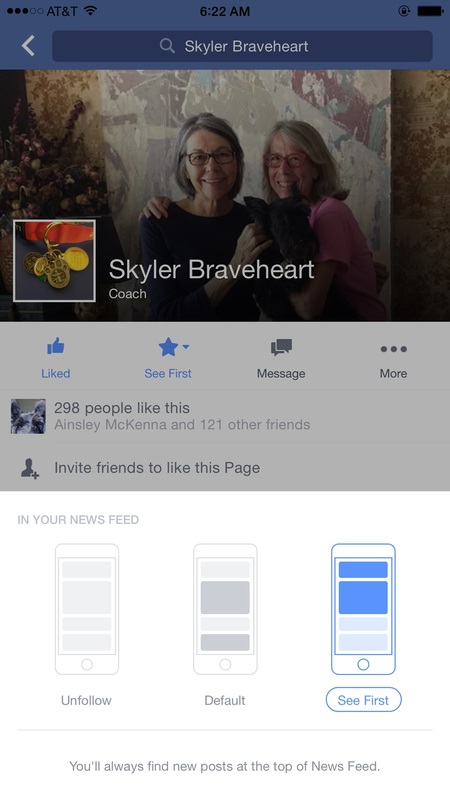 FB will have it set to default and you may see posts or not. You know the ‘how did I miss that’ thing. You will need to change it to See First also. 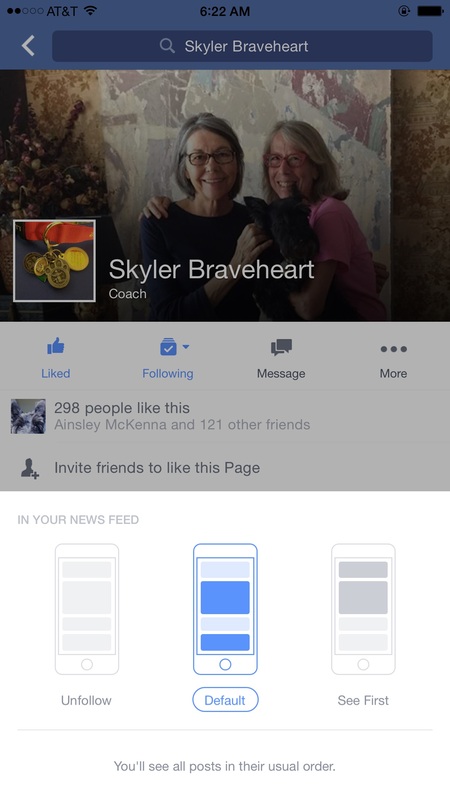 This is our friend Skyler’s public page.